Do you want more people coming to your website ? And do you want them staying for longer and recommending you to others? 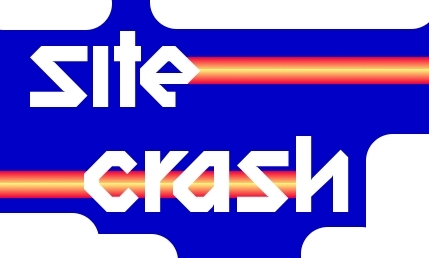 Then let me introduce Site Crash. I’ve improved websites for several years, tightening up the content and vastly increasing traffic, and while it’s great getting paid to do this, it’s time to give something back to charities, voluntary sites and other places that deserve more traffic but may not have the time or resources to do the work needed to improve them. I’m an editorial expert – I look at not just spelling and grammar, but whether a site is confusingly over-written. You know what I mean, those bitter flavours on the English tongue – meaningless jargon, buzzwords, business-speke. More importantly, I’ll look at how you’re selling your site. Think of the last film you saw, you can probably sum up in a few words why you chose it and what you were expecting (although whether it lived up to expectations is another matter, but at least the selling worked). Think too of the last luxury you bought, it met some perceived need. Think also of the last… well, you get the picture. Whether it’s themselves, products or services, your website is your pitch to the world at large. However, we don’t always do it well – key information is missing or confusing, the unique selling point – why people should use you and your site rather than the hundreds of millions of other sites out there – is not obvious. When people visit our site, we sell ourselves through our content – mainly writing, but also images, audio and video. This may sound distasteful to some, but we when there are only a few words, a few seconds to sell, you need to do it well. In addition, your audience (and that’s assuming you even know who your audience is) needs to find you. Good content, the right content that makes use of the different tools of the web can help do this. This is where Site Crash comes in. Site Crash is purely voluntary, only the sites where you the owner has invited me will be critiqued here. I’ve based it on similar expert-advice sites such as Janet Reid’s Query Shark and Nathan Bransford’s Page Critiques. Like them, any criticism will be constructive, and the comments on each post are also encouraged to be constructive. Those that are clearly not will be removed. The focus will be on how you use your content and the things you could do or add to improve the site, and ways to think about your content. You will be given key points to digest, and a suggested timeline and priorities and I would like to follow up a few months down the line. By the end of the Site Crash you will have some key points and, ideally, simple things you can do to make your site better and increase traffic. And who doesn’t want that? If you’re interested I’ll need a few things from you. Once you’ve done that, I’ll get back to you to let you know if I’m having a look and will do my best to post something constructive as soon as I can, although please be aware that this will all be done in my own free time. So if you’re interested, drop me an email at editor AT ConsideredWords DOT com. If you could send from an email account that’s part of your site rather than Gmail etc this will enable me to ensure that you are the site owner. Otherwise I’ll have to ask for some other proof of ownership.